It has always strike me as weird that a nation with the Chinese ethnic as the dominant population would have a place named Chinatown. And it strikes me even weirder that said nation celebrates Christmas with more bang than it does for Lunar New Year. Just as Orchard Road strives to be its best in the month leading to Christmas, the same happens in Chinatown during the Lunar New Year. 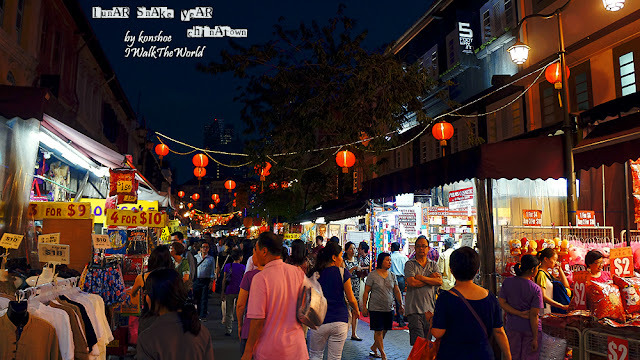 In fact, one may notice that Chinatown is the place where Lunar New Year is celebrated with more festivities than most other areas in the island nation. Chinese lanterns adorn all over an area which borders blurred with its neighboring districts, and this year 2 special guests graced the streets. 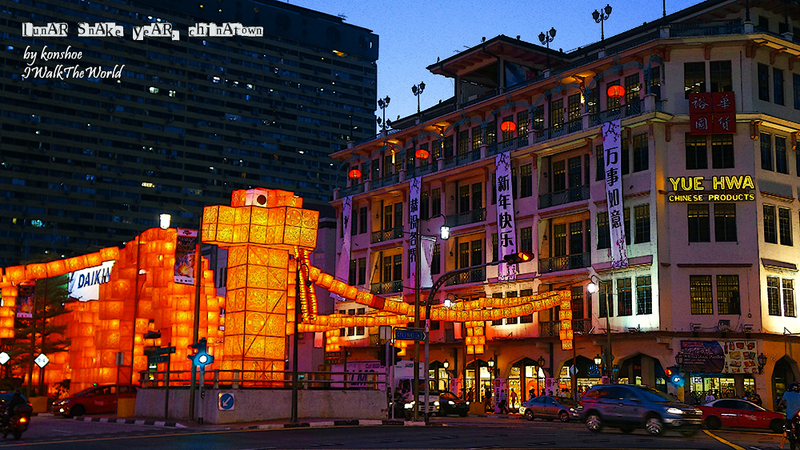 The gigantic Red Snake invaded Chinatown with a message: Happy Lunar Snake Year! Walking right out from the MRT station, I was greeted by a huge snake. A wash of red lined through Eu Tong Sen Street and New Bridge Road, two of the major roads which run through the Singapore Central Business District area. 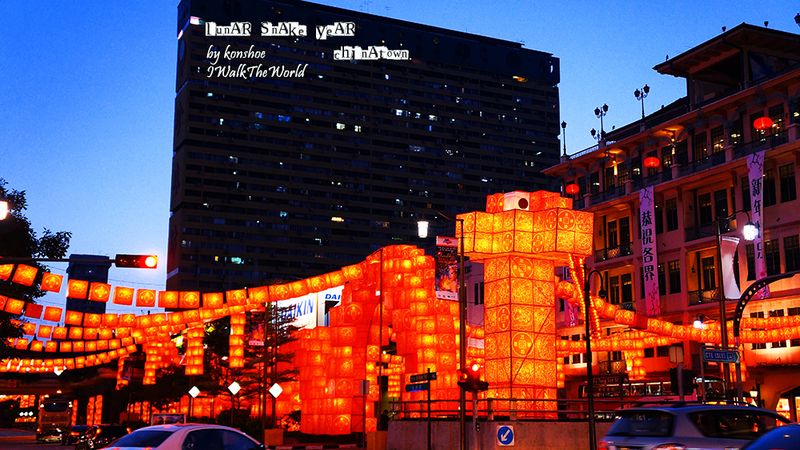 The huge red snake was actually a result of red lanterns being combined together to form the outline of a snake. From the ground, it looked quite spectacular. Another shot of the same Red Snake, this time showing its length down the street with the other red lanterns around it. 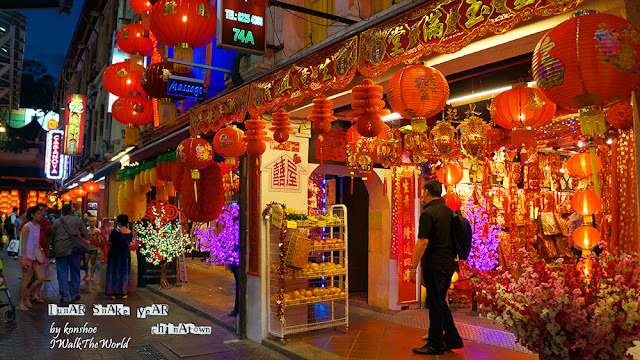 To visitors looking for the festive mood of Lunar New Year, a short walk down Pagoda Street is most recommended in the days leading to the festival. When I was there, a few days prior to the day proper, I was overwhelmed by the sheer amount of people jammed into this narrow street. Visitors of different races and different nations all converged upon this section of Chinatown, exploring businesses offering to sell items related to the festival. 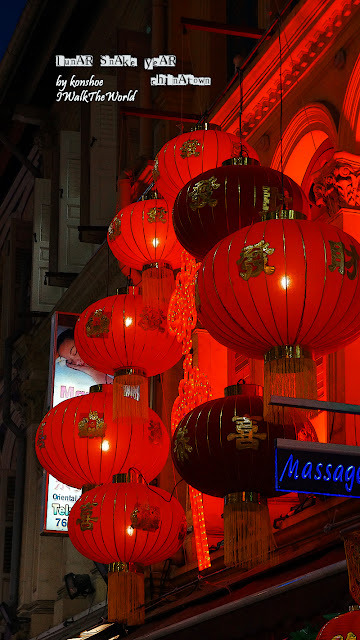 Red lanterns of all geometries adorned the street and business units, bringing the mood lacking in other parts of Singapore into this short path. The vibrant colors of Lunar New Year breathed life into Pagoda Street. Wash of reds were the dominating color of the festival. Red lanterns were hung in front of houses because of the ancient legend of 'Nian' (年), a mythical monster in ancient China, which also coincides with the Chinese word of 'Year'. Legend has it that Nian will invade the land every year, devouring and hurting. A wise man's advice proved correct in defeating the monster: it feared the color red and loud noise of firecrackers. And thus it has became tradition to hang red lanterns to warn off the beast of time which devours all eventually. Pagoda Street in the days leading to Lunar New Year is not for the agoraphobic. But then again, so is Orchard Road malls in the weekends. At the end of the street, I was greeted by another snake, a golden one this time. While the Red Snake slithered on the ground, the Golden Snake hovered in the air along South Bridge Road. Exiting Pagoda Street into South Bridge Road was a relief, as the latter was relatively devoid of people apart from those who would like to capture a picture of the photogenic snake. 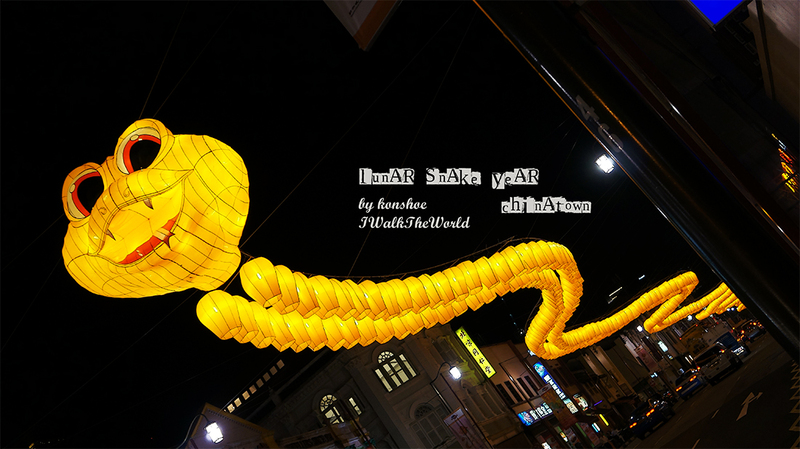 The Golden Snake was much longer the Red Snake, its length of round yellow lanterns stretching further down the road. 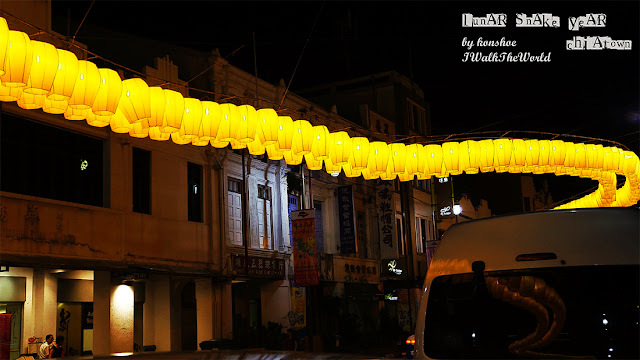 In the darker sections of the road, the yellow lanterns were more eye-catching, capturing the attention of pedestrians while lighting up the road. What are these dual rows of yellow lanterns for? It is actually part of the body of the Golden Snake, hovering above the street and offering a toothy smile. Fortunately it is more cute than frightening. Much as we wished to see more festive decorations in Singapore, we were rather disappointed to find that most of these were limited to the confines of shopping malls. Maybe certain HDBs had rather inviting festive decorations, but those that we knew of paled in comparison to the twin snakes of Chinatown. Suitable for: Checking out the heritage of immigrant Chinese which formed this island nation, feel the crowd and get a peek at what's inside each shop. Opening Hours: It's an open area, but most activities occurs around the clock, slowing down starting from 9.30 p.m.